A new competitor to iTunes is about to launch, and it comes from an unlikely source. 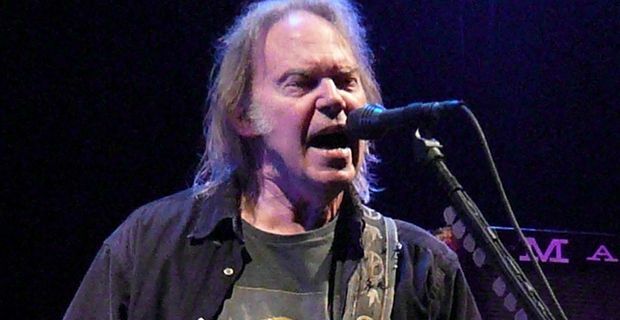 Veteran rocker Neil Young wants to challenge Apple’s near-monopoly and offer higher-quality digital music to fans who value sound quality. The name of Young’s service is Pono. The singer said he had been in discussions with Steve Jobs about improving the quality of digital downloads, but since Jobs’s death, Apple had lost interest. Young recently wrote that he is out to "save the sound of music" and that he wants to "force iTunes to be better and to improve quality at a faster pace." Young claimed that Jobs preferred to listen to vinyl because of the sound quality. Young was dismissive of MP3s. "What everybody gets is 5% of what we originally make in the studio," he said. "We live in the digital age, and unfortunately it's degrading our music, not improving." Pono’s methods will attempt to bring a hi-fi solution to a digital music environment that up to now has been determined by storage limitations and download times. As storage becomes an increasingly negligible concern, Pono will attempt to restore respect for the integrity of recorded music. Craig Kallman, the chairman of Atlantic Records, is already on board, and Rolling Stone suggests that the influential Warner Music Group, Atlantic's parent company, has also backed the project. "This has to be an industry-wide solution," Kallman said, realising that any potential rival to iTunes has to be able to offer a comparable catalogue of material.